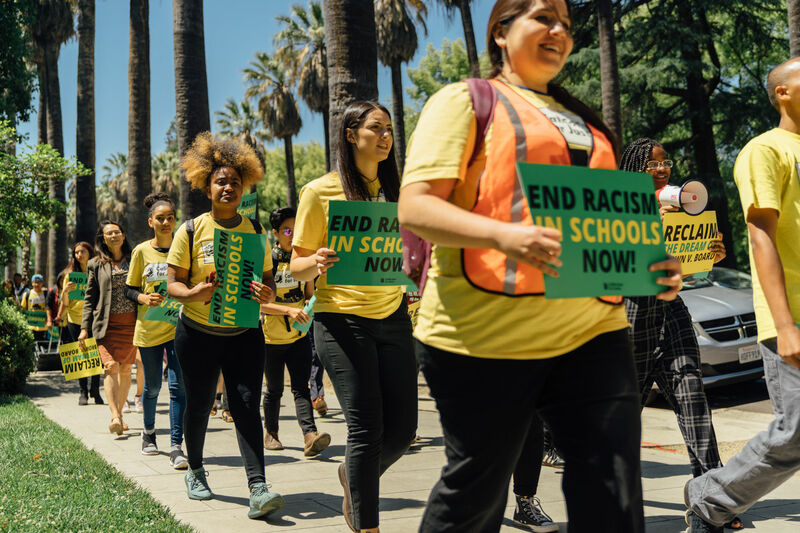 For the last 22 years Californians for Justice has engaged thousands of young people of color to make positive changes in their schools and communities. This work has been possible thanks to the thousands of supporters who have given their time, donations, and more to uplift the voices of young people who are working to create healthy, racially just, and vibrant schools. This is a transformative time for youth leadership with young people across the country rising up to create the change they want to see in the world. Seeing the power of youth leadership and organizing is not new to Californians for Justice, but what is new is CFJ’s ability to amplify youth power on an even bigger scale. CFJ has grown significantly in 2018 to address the opportunities and challenges created by our current political landscape, and we’ll soon be reflecting this change in all our work. This summer, we are launching a new website, logo and overall CFJ brand to help amplify the power of youth who are organizing for racial justice across the state. Stay connected with us this summer to see our updated look and learn how you can share in our vision!